Julia Baker Huggins, 97, longtime resident of Lake City, SC, passed away, Thursday, November 8, 2018, in Spartanburg. Graveside service will be 2:30 PM, Sunday, November 11, 2018 at Lake City Memorial Park. The family will receive friends immediately following the service. Mrs. Huggins was born on May 8, 1921 in Cades, SC, she was one of five children of the late John Colas Baker and Fannie Thomas Baker. She was a graduate of Hebron High School and recipient of numerous educational certificates. Mrs. Huggins was married to the late James Allison Huggins, Jr. Julia loved not only her family but her church, community, garden and work. 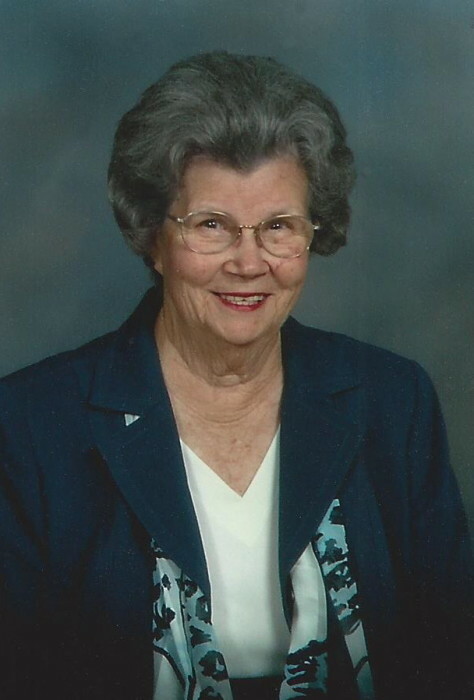 She was an active member of the Lake City United Methodist Church, where she was a member of the JB Strickland Sunday School Class and Circle 1. She was also a charter member of the Tiara Garden Club and was involved with Eastern Stars. She owned a ladies dress shop for many years in Lake City and also managed the school food service program in Lake City. A true southern lady who was loved by many. She combined her creative talents with her love of flowers and the outdoors to flower arranging, gardening and baking. She is survived by her three daughters, Martha (Syd) McDaniel, Harriet (Julian) Prosser and Deborah Love; In addition, surviving are eight grandchildren, Hope (Steve) Matthews, Ashley (Greg) Brandon, Hayden Phillips, Brandon (Jordan) Prosser, Nicholas (Nikki) Phillips, Allison (Spencer) Floyd, Lindsay Love and Will Love. There are 10 great grandchildren with a set of twins expecting. Also surviving are numerous nieces and nephews. Mrs. Huggins was preceded in death by brothers, Carroll Baker and Thurman Baker; and sisters, Mary Baker McElveen and Thelma Baker Owens. The family request memorials may be made to the Lake City United Methodist Church, PO Box 818, Lake City, SC 29560. The family is at the home of Allison and Spencer Floyd, 1674 N. Old Georgetown Road, Scranton, SC. 29591.